Last week I was walking around the beach and came across an interesting RV that was duck taped together. I believe this truck may have ran into an overpass and had much of its cabin ripped apart. 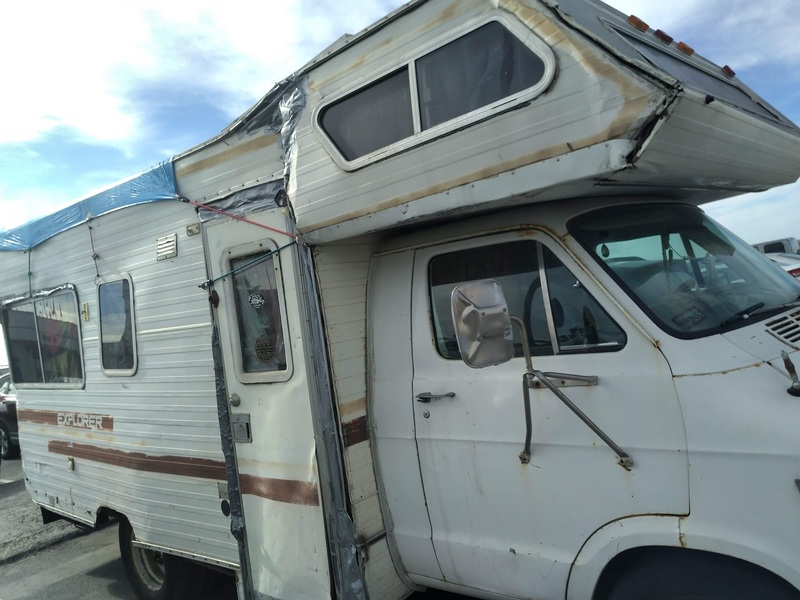 The owners decided they would rather keep it running than retire the truck. Duck tape was used to keep the air out. In the end, I'm surprised the car is still in use. It takes a special kind of person to use this car in this way. I'm not knocking it...I'm just saying WOW.